What I do have is good design sense, thanks in some part of an art director I worked with at a magazine years ago. Before I started doing web sites I was an editor at a couple of trade publications. Back in the late 1990s, when the web began to explode, the publisher of the series of magazines I worked for at the time asked me to create websites for each. I knew nothing about the web but I did have a background as a computer programmer. Because I knew something about the technology and nothing about the aesthetics of designing websites, I went to the art director of the publications and asked for help. She gave me a terrific crash course both in using Photoshop and in basic design things like using harmonious color palettes, creating balance, and how to focus a viewer’s attention. Fortunately there are many stock sites that can provide a gloriously varied array of photographs and illustrations I’m pretty good at taking stock images and combining them, picking out elements to highlight and finding new and creative ways to use them. But what sort of images work best? And what else should a cover include? Title and author name are givens. A lot of publishers and authors add banners with “Bestselling Author” or “Award-winning Author.” Some put their own publisher banners and or series title on as well. In most cases the largest text was the book title, often far larger than anything else, unless the author was a well-known figure. In that case the author’s name was usually larger than the title. Other text was more likely to appear on covers published by major New York houses where they reflected the print cover. Quotes from reviews or other authors were almost exclusively on those. In most cases it was impossible to read the secondary text at small sizes. Indie-published books usually had less text, though a series name was fairly common. For the images on the covers, I found most frequently a single strong intriguing image dominated the visual space. In general about two-thirds of those were of a human figure, evenly split between male and female. There were some interesting genre differences, however. Mystery/Thrillers – The covers were mostly dark, and less likely to have human figures on them. When they did, the figures were usually small and shadowy. Titles tended to dominate the cover (except for very well-known authors), sometimes with patterned or even indistinguishable backgrounds. Interestingly, this held true for almost all of the subgenres, except for cozy mysteries, which were very different. Cozy mysteries – illustrated covers dominated, often featuring animals or food; it’s a female-focused genre and the covers reflected that. Most are bright and colorful, projecting an upbeat mood even when the title included the words “murder,” “killer’ or death (and many of them did). If there is any human figure on the cover it’s almost exclusively female. Romance – These covers were lighter and brighter. In general the image itself was more dominant and the text for title and author smaller. About three quarters of the top 40 books listed had human figures. Of those, six showed couples, and two thirds of the rest had a single male figure. In the subgenres, Historical had more couples and female figures by a good margin. Paranormal romances tended to have darker covers and were also more likely to feature a female character. Romantic suspense also had darker covers but otherwise the breakdown of human figures was about the same as the romance genre overall. Science fiction and fantasy—It was harder to find any trends in these. The only thing that jumped out at me were more covers that had no background image at all or a very minimal design. Science fiction tended to have more landscape or starscape backgrounds. Fantasy also seemed to feature fewer identifiable humans and more landscape or architectural background images. So there’s a quick (and rather subjective) cover analysis. I already knew that the cover was an important (if not the most important) marketing tool for a book. The most effective ones give quick visual cues about the content and the target market. Anyone responsible for their own cover or designing for others needs to keep that in mind. A cover that’s a work or art is useless if it doesn’t help to sell your book. The cover must convey a genre-appropriate feel for the content. The second most important marketing tool is your title, unless you’re a well-known author, in which case the name is the feature. I did notice some interesting trends in titles, but that’s a blog post for another day. I hope I’ve done a decent job of sticking to the genre conventions for my most recent release, a romantic suspense novel. 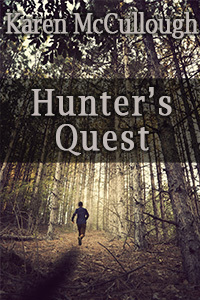 In Hunter’s Quest, Kristie Sandford’s vacation is interrupted when a man jumps out in front of her car. She avoids hitting him, but when she stops to see if he’s hurt, he demands she help him escape from the people chasing him. Kristie has an odd “gift”-she occasionally gets warning messages, and she gets one saying he needs her help or he’ll die. For most of my life I’ve been a writer and editor. This was in the days before telecommuting, so I worked in a highrise downtown. Surrounded by my workmates, I broke up my day to chat with them. I met friends for lunch. My job provided camaraderie, office gossip, turf wars, rumors of layoffs, and other diversions that livened things up. Now that I’m a mystery writer, working at home, my situation is what many would consider ideal. It’s just me, working in the peace and quiet that most authors and would-be authors crave. The problem is, too much peace and quiet can lead to feelings of isolation, burn out, and (dare I say it?) writers block. Luckily for me, I stumbled into painting, which breaks up my week and, somewhat mysteriously, enhances the time I spend writing. Here’s how it came about: A number of years ago, I completed my third mystery and found it as unsaleable as my previous efforts. I couldn’t start a new book, knowing I’d have to face the nightmare of marketing it when it was done. So I gave up on fiction writing. After looking around for something to do, I took up art, starting with beginning drawing at a local art college. I was just getting into oil painting when I decided to give my last novel another look. A long time had passed, and I figured I’d be objective enough to see its flaws and get over my disappointment. But the opposite happened. The book was surprisingly good, so good I felt it deserved another chance. I couldn’t face sending it to agents and publishers again. Instead, I decided to give self-publishing a try. I got quite a few good reviews as well as a few great ones. Then a miracle happened. Light Messages Publishing, an independent house in North Carolina, noticed my book and gave me a contract to reissue it under their imprint. This gave me a new lease on life as a real published author. I was so thrilled that I wrote a sequel to The Swap, The Bequest, in less than five months. My publisher took that one, too, and gave me a contract for a third book, now almost finished. But I’ve never given up painting. I’ve found that the two activities complement each other. They are similar in that both involve puzzle solving. Writing a mystery, obviously, requires a great deal of hard thinking, planning, plotting and rewriting. Painting is much less cerebral. A lot of it is done by instinct (after a good bit of initial training, I have to add). Once I’m absorbed in painting, time can pass without notice. When I copy a still-life setup, a model, or a photo onto my canvas, much of the work seems to come in through my eyes and out through my fingers without a great deal of thinking in between. During the process, it feels as if I’d emptying my mind of any thought but the image I’m rendering. The heavy-duty thinking and puzzle-solving comes in figuring out how to mix the right colors and amend the painting (much as one would rewrite a written draft) to make it into what I set out to create. I like to paint from old family photos, which are generally in black and white. That means I have to make up the colors. I often use the web for this, researching the colors and styles of clothing and perhaps furniture, even cars, from the decade when the photo was taken. This is much like the research I do when I write fiction. For me, the biggest difference between writing and art is that writing is not collaborative; it has to be done alone. Even when I’ve co-authored an article or book, I and my cowriter have traded the manuscript back and forth to work on it individually. Sometimes we wrote alternate sections or chapters, then traded them for the final polish. Each of us basically worked alone. On the other hand, painting can be a highly collaborative and social pastime. It that way, it’s a welcome change from sitting at my computer and writing. I paint at a small art school near my house. I’ve become friends with the school’s owner and teachers, as well as other students and people who drop by. Students critique each other’s work. (Generally, permission is asked and granted first.) This is empowering for both parties. When a painting turns out well, we cheer each other on and, when it doesn’t, we offer our best advice. Sometimes that means suggesting the painter take the work home and before giving it another try. Hardly a day goes by when we do not hear news about a tragic confrontation between police and a member of the public. Either A) An officer deploys deadly force and an investigation ensues, sometimes accompanied by street protests that turn violent with dramatic media coverage – or B) an armed suspect ambushes a cop during a traffic stop for a “routine” moving violation and kills him whereupon a pursuit follows and – see A). Writers of crime fiction who have no background in law enforcement cannot depend on television news or entertainment programming in order to understand the officers’ perspective on such events. 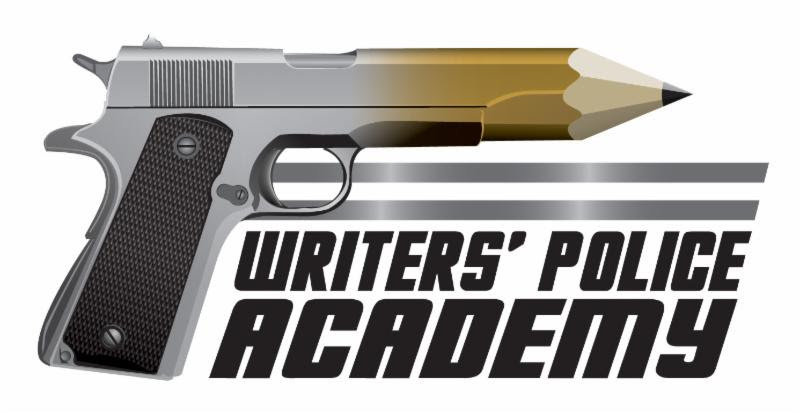 But at the annual Writers Police Academy, ordinary woman and men enter a cop’s world and experience the discipline and dread involved in such split-second decisions. The primary aim of most writer-participants is to get the details right in their writing and avoid careless blunders (which, unhappily, abound in crime fiction). One makes up stuff, of course, but any police particulars must be credible. No quick turnarounds in DNA testing, thank you, no shooting of a gun out of the perp’s hand, and please, no cordite smell (the ingredient was dropped from bullet making after World War II). But nearly every fellow-writer I spoke with said the deepest impression was the humanity of the officers. Sure, it was important to know how a Taser works, and how a cop stands and talks to an EDP (Emotionally Disturbed Person) who is wielding a knife in a public space. But more important was to listen to these men and women talk warmly about their families, hopefully about their communities, and frankly about their anxieties. Their daily ambition – besides doing the job right – is to survive and come home. 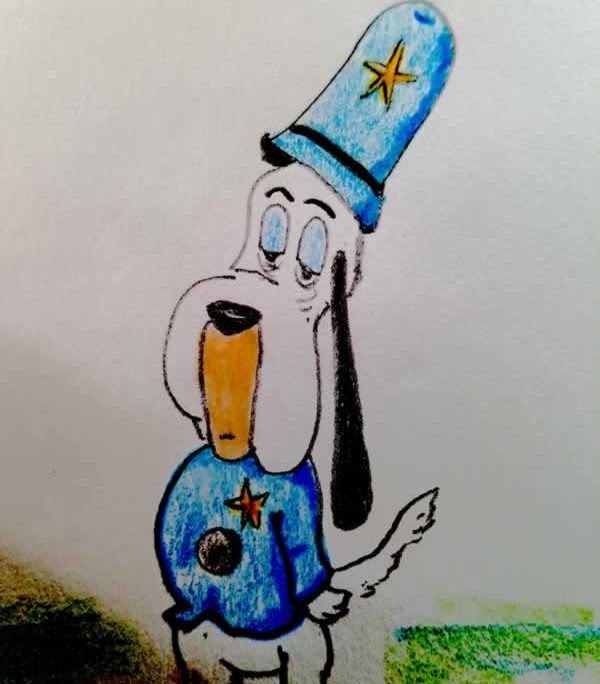 My next book’s protagonist is a small-town cop who has been in the background of my previous three novels. So I’ve already done some research on crime scene processing, evidence handling, handguns, interrogation and other procedural things. But for this story, I needed to know – no, I needed to feel: what’s it like to BE a cop? To THINK like one? To leave the driveway every day and be ‘on the air’ (as they say) for a 12-hour shift not truly knowing if I’ll come home that night? The objective of my story isn’t mainly to portray a police investigation accurately or even to solve the crime (though it will do both). It’s to make Detective Francis Gordon fully human, because that’s what every cop is. A real person. Well-trained, you bet (our ‘academy’ was only a taste of the rigor these people endure). But not just a ‘badge’ – a neighbor. A parishioner. A son. A Mom. An uncle. A library volunteer. The hyperbole of the news and the rapid-fire conflicts of the typical Fifty-minute cop drama make us forget that. Under that riot gear is a guy who just wants to go home that night and hug his kids. So thanks to Lee Lofland and the staff of the WPA, primary sponsors Sisters in Crime, and the instructors of the Northeast Wisconsin Technical College criminal justice program (in Green Bay WI and the Oneida Reservation) for this chance to literally feel the weight of your responsibilities (the duty belt is about 10 pounds and those tactical vests are heavy and hot!). BIO: A former producer with Wisconsin Public Radio, John Desjarlais teaches English at Kishwaukee College in northern Illinois. His first novel, The Throne of Tara (Crossway 1990, 2000), was a Christianity Today Readers Choice Award nominee, and his medieval thriller, Relics (Thomas Nelson 1993, 2009) was a Doubleday Book Club Selection. Bleeder, Viper, and Specter (Chesterton Press, 2009, 2011 and 2015 respectively) will soon be followed by a fourth entry in this mystery series. Blood of the Martyrs (2012), a short story collection, is available at Amazon Kindle Select. Two of the stories were Finalists in the Tom Howard Fiction Contest and all previously appeared in literary journals. A member of Mystery Writers of America, he is listed in Who’s Who in Entertainment and Who’s Who Among America’s Teachers. A lifelong resident of Minnesota, S.L. Smith was born in Saint Cloud and attended Saint Catherine University in Saint Paul. 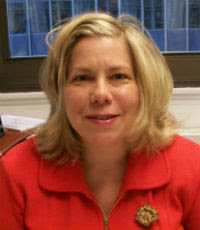 During her thirty-two years with the state department of public safety, she worked with law enforcement and fire officials at the state, county and municipal levels. Those interactions assisted her with writing mysteries, but were just the starting point. Without the help of a friend who spent thirty-five years as a cop, she might never have ventured into writing police procedurals. He contributed to her understanding of the perspectives of her two protagonists, Pete Culnane and Martin Tierney. Thankfully, this friend is still a resource. He proofreads each manuscript and performs a reality check on the law enforcement aspects. All three of her previous books include a social issue. In Blinded by the Sight, it’s homelessness. 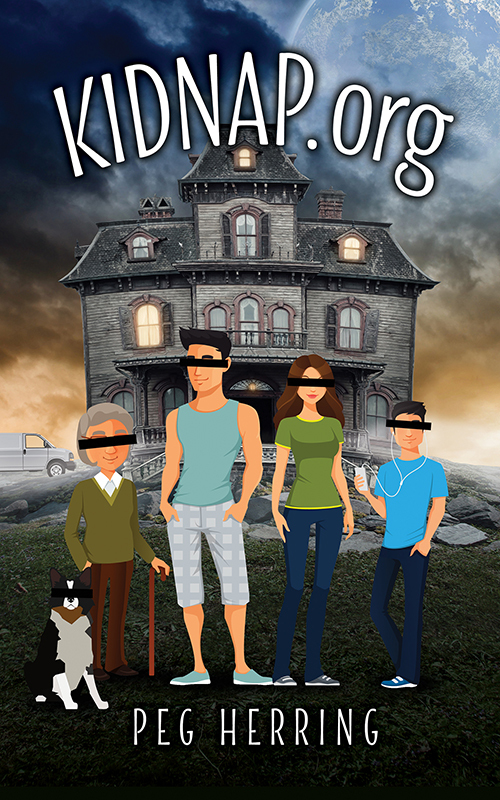 For book two, Running Scared, it’s the impacts of a failing marriage on the kids. Book three, Murder on a Stick, addresses a plight faced by many of the elderly. 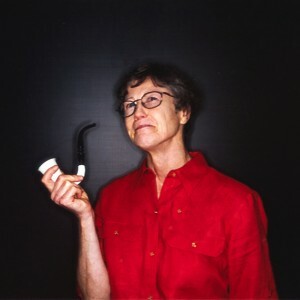 Smith is a member of Sisters in Crime (an organization that supports mystery writers). 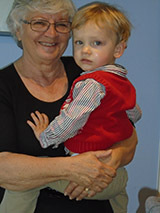 She divides her time between Minnesota and Florida, to care for her mother. 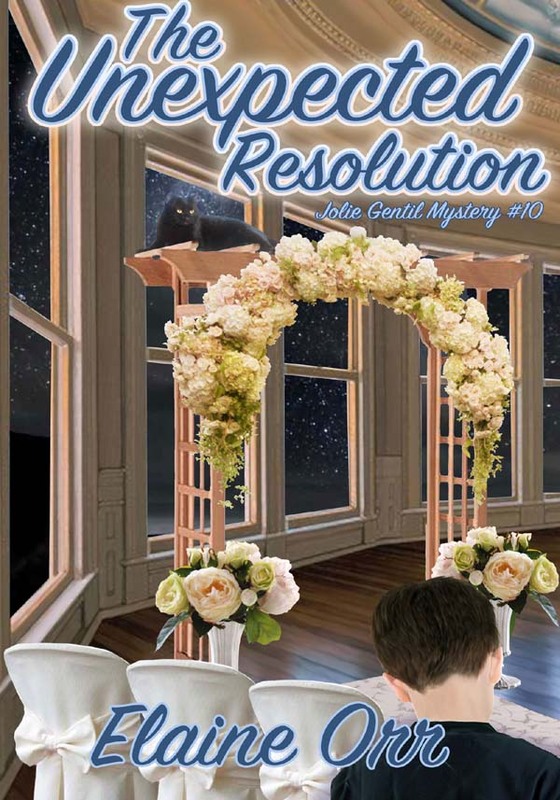 As Collette Hammond orchestrates an elaborate New Year’s Eve wedding reception for her brother in St. Paul’s historic Union Depot, she never anticipates the evening might end in her own mysterious death. She collapses just before midnight. A fresh needle mark suggests narcotics. 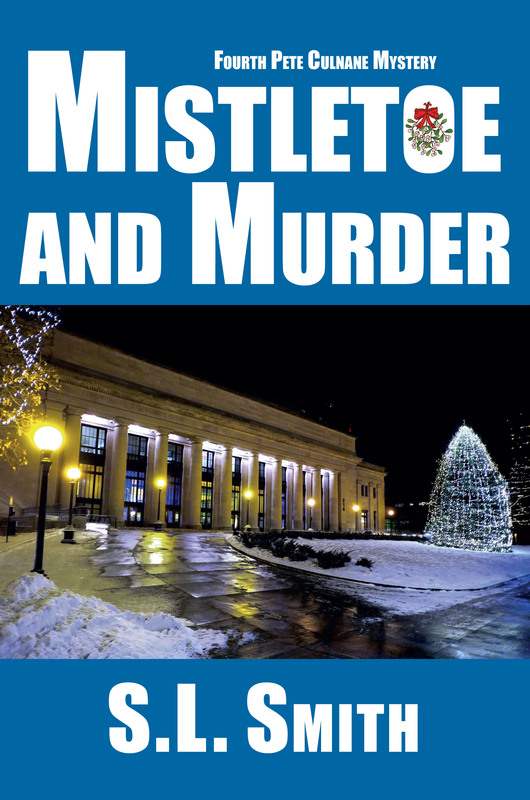 St. Paul police detectives Pete Culnane and Martin Tierney are called away from their holiday celebrations to investigate, launching a trip through a labyrinth of intrigue and deception. It’s not too late to win! SEALED BID AUCTION – OPEN TO ALL NOW! To help support the mega-beast known as the Writers’ Police Academy, we feature an annual raffle and silent auction. Great fun. But, in 2016, after receiving lots of requests to allow non-attendees to get in on the festivities, we offered a few truly unique items for sealed bids. It was a huge success, thanks to each of you! This year we’re offering six exciting items for sealed bids. These are available to the public, therefore anyone and everyone is welcome to participate. · To win the prize/item you so badly desire, simply send your bid to2017WPAuction@gmail.com. · In the body of the message please state the dollar amount of your bid (e.g. – “My bid for the signed guitar is $1 Zillion Dollars.”). Also, please include your full contact information. Bids will remain a secret until bidding closes at midnight PST, Saturday August 12, 2017. You need not be present at the WPA to win. Attendees of the 2017 WPA may submit sealed auction bids as well, and the same rules apply. Sealed bids are in addition to the raffle and silent auction items available at the event. You must be present to participate in the raffle and silent auction. Each of the six auction items is showcased below! After you look at your options, please read the FINE PRINT at the end of this email. 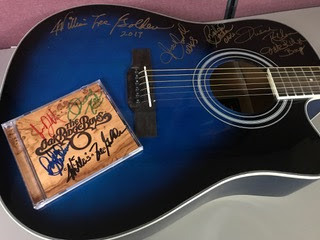 A guitar & CD signed by the legendary Grammy-winning Oak Ridge Boys. This unique item is a wonderful addition to any room in the house. Lee Lofland has one in his den, a gift from his wife, who spent big bucks for it at the auction. Superstar author Lee Child placed the winning bid a few years ago and he, too, has one of these signed beauties in his Manhattan office. WPA instructor/Detective Marco Conelli is another owner of one of these prized guitars. (In case you didn’t know, Marco is also a singer-songwriter/frontman for his own band in NYC). The subject line to bid on this item should read: BID-GUITAR. The bid should be sent to 2017WPAuction@gmail.com. 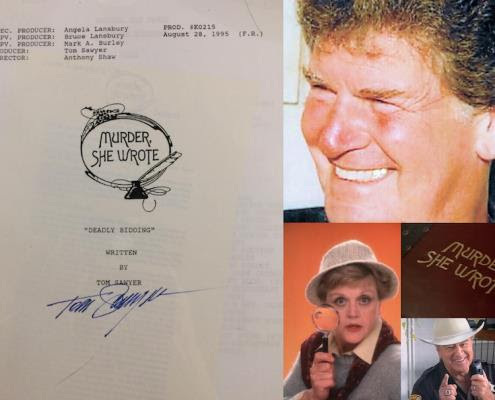 Murder, She Wrote script signed by head writer/showrunner Thomas B. Sawyer. Tom also served as Head Writer/Showrunner or Producer on 15 network TV series. He has written and sold TV movies, 9 series pilots, 100 episodes, both comedy and drama. This script is a must-have prize of epic proportion, especially so for Murder, She Wrote fans, and writers of all genres. The subject line to bid on this item should read: BID-SCRIPT. The bid should be sent to2017WPAuction@gmail.com. This is HUGE! We have two seats available to a “law enforcement only” gang conference. For the first time EVER, two lucky writers will have the opportunity to learn and train side-by-side with top police investigators at a conference where outsiders are not permitted. That’s right, you’d be the ONLY writers privy to insider information about developing and maintaining confidential informants-gang-related, so this is especially tough for cops-human trafficking, how gangs infiltrate communities, Asian gangs, gangs and social media, and much, much more. This is a rare and EXCITING OPPORTUNITY that’s not available to the public. The subject line to bid on this item should read: BID-GANG. The bid should be sent to2017WPAuction@gmail.com. A pond! No, your eyes are not playing tricks on you. 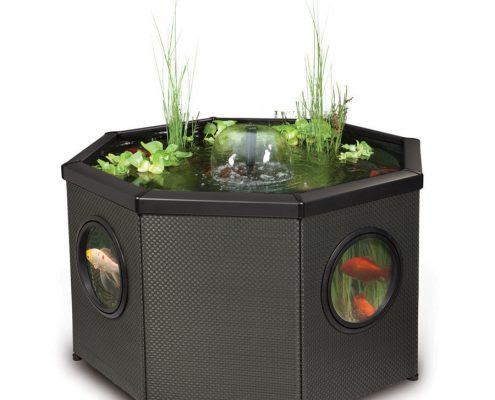 This wonderful indoor/outdoor pond measuring about 2-feet tall and 4-feet across holds about 40-50 gallons. It comes with everything you need. Well, except water, plants, and fish. But everything else is included –pump, liner, filters, plant baskets, light kits, etc. Denene and I love everything about ours, from the soothing sounds of the fountain to feeding the goldfish and watching hummingbirds take a dip in the fountain spray. This pond (retail value over $500) is absolutely COOL! Perfect for indoors, too. The pond will ship directly to you from the warehouse (Assembly IS required – takes approximately one hour and is remarkably simple. Hey, I did it). The subject line to bid on this item should read: BID-POND. The bid should be sent to2017WPAuction@gmail.com. MANUSCRIPT CRITIQUE BY TOP HARLEQUIN EDITOR! 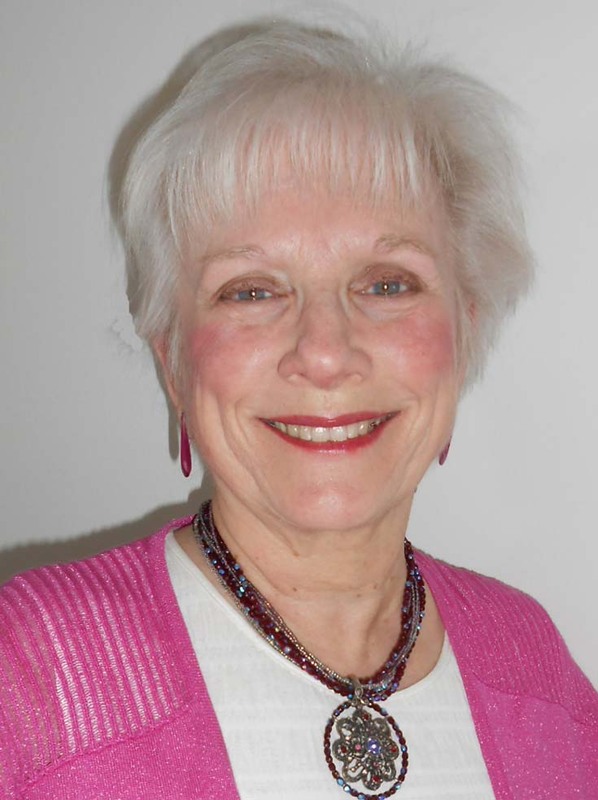 Ann Leslie actively acquires for HQN Books, MIRA and Harlequin/Silhouette Books, she is especially interested in finding paranormal romance and commercial literary fiction. She has acquired trade, hardcover and mass market titles with critical and bestselling potential. Edits a diverse author base, including NYT, USA Today and international bestselling authors Sylvia Day, Julia London, Megan Hart, Vanessa Fewings, Lisa Renee Jones and Rachael Johns. 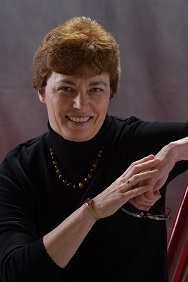 She manages lines of contemporary romance and special projects, including e-books. She’s a popular speaker at writer conferences, including the Australia and New Zealand conferences in 2015. Thanks to Jenna Kernan for acquiring this prize. The subject line to bid on this item should read: BID-CRITIQUE. The bid should be sent to 2017WPAuction@gmail.com. P.J. 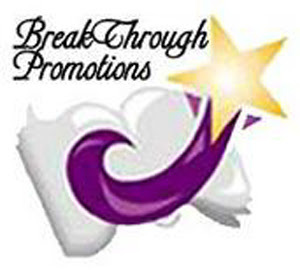 Nunn of BreakThrough Promotions is offering a basic 6-month publicity campaign (value $2995). It will include reviews, blogs, and radio interviews. It could also include store or library events depending upon book, location, author wishes etc. P.J. works full time in the publishing industry, but still serves as a consultant in the field of law enforcement and trauma counseling. *The author would need to provide print and mobi promotional copies of the book. The subject line to bid on this item should read: BID-PROMO. The bid should be sent to 2017WPAuction@gmail.com. Proceeds are combined with overall WPA funds and go toward overall event expenses, the opening ceremonies (featuring the blessing of the WPA by the Oneida Nation dancers, Miss Oneida, tribal elders), and a student scholarship funded by the WPA. Remember, the WPA takes place on the Oneida Indian Reservation (hotel, academy, and college). *Winners will be notified by email. We will attempt to contact winners three times (one every other day, starting on August 15, 2017), so please check your spam folders. If we do not receive a reply within five days after the third message is sent, we will move on to the next highest bidder, and so on until the prize is claimed. Funds to secure bids must be made via cash, WPA PayPal, or credit card. Once we’ve established contact with the winners we will provide payment details. Items will ship/can be claimed once payment is received. All Sales are Final. No Returns or Exchanges. With the explosion of publishing methods over the last ten years, it was only a matter of time until scams multiplied too. I’ve met many wannabee authors who were misled into accepting help that wasn’t all that helpful. They want that book “out there” so the world can see how talented they are, and someone claims to know exactly how it should be done. Before you move forward, here are some truths you might want to ponder. *Your story isn’t all that original, and it won’t interest the vast majority of readers. That isn’t to say you shouldn’t publish, but don’t expect Amazon’s servers to jam as people rush to buy your unique/heart-warming/fascinating/shocking/ scintillating/must-read/eye-opening/sure-fire best seller. *Reading is subjective. Good writers are sometimes ignored while bad ones become stars. There really is no accounting for taste, and therefore, horrible plots, terrible writing, and multiple errors often get five-star reviews while good stories get none. *Your publisher doesn’t see you as the uniquely creative, eminently capable individual you undoubtedly are (unless you self-publish—see below**). Publishing is a business, and authors are cogs in the corporate wheel. When my publisher went bankrupt a few years back, lawyers sent a list, ranked in order of who would be paid with the funds available. Want to guess who made the bottom of the list? The authors, of course. **Self-publishers have to be creative and capable, since they’re responsible for everything that happens. Once my cover artist put this on a book’s spine: Someboday Doesn’t Like Sarah Leigh. Do you think people who bought the book before I noticed the mistake said, “What a terrible cover artist”? Nope. My fault. I was responsible. “Help” getting an ISBN. Go to Bowker.com. Get your own. “Help” with publishing. Firms vary widely in what they offer, what they charge, and how well they do what they promise to do. Check the fine print. One friend signed with a publisher who charged him full price for his own books! Research relationships with past/existing clients. I once signed on with a publisher then learned several authors had quit because they never got paid. It took a lawyer’s fee to get me out of that one. If a publisher “encourages” you to buy a lot of books, run the other way. I’ve met dozens of naïve authors who bought hundreds of their own books in order to be prepared for the mega-sales they were told to expect. Today those books molder in garages, attics, and of course, the trunks of cars. “Help” with promotion. This one’s hard to judge, but don’t expect your publisher to do much. There are independent PR people available (like my host PJ) who know the ropes and do an excellent job. There are also scammers whose most consistent action is sending you a bill each month. It’s a bit of a crap-shoot, since nobody knows what sells books. (If they did, publishers wouldn’t pay huge advances for duds, like the recent memoir of a retired politician that cost its publisher $476.00/book.) Don’t fall for promises of mega-sales or a spot on the New York Times listings. It ain’t happening. What can an author do to limit frustration and expense? *Educate yourself, so you don’t fall for the scams. *Plan on doing most of the promotional work. Whatever my publishers do or don’t do, I set up my own author events, do mailings when a book releases, maintain website/blog/social media presences, and send newsletters to fans. *Spend your promo money wisely. I advertise on reader sites that are free or cheap, because I think it’s mostly about getting the book in front of readers multiple times. If I hired a PR person I’d choose someone who’s been around a while (again, like PJ) who keeps track of what’s hot right now—and what’s not. *Choose what works for you and ignore anything else you’re told you “must” be doing. Don’t overwhelm yourself when you really need to be writing that next book. Stepping into publishing is like taking a wild ride in a little boat on an unknown sea. I’m not sure how much I navigate and how much I simply ride the waves, but I do try to keep in mind where I want to end up. If you’ve ever wished you could grab a corrupt politician or a greedy business-person by the ear and give him a stern talking-to, you’ll love the capers Robin and her odd “gang” use to restore a little justice to an unjust world. KIDNAP.org is funny. It’s suspenseful. It’s satisfying. You’ll love it!